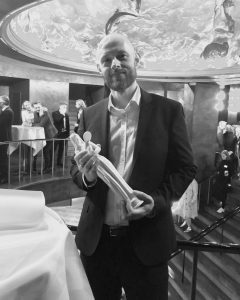 Our translator Henrik Thøgersen just won a very prestigious Bodil Award, which is given by the Danish Guild of Film Critics, for his excellent work within the field of subtitling. Naturally we are very proud of him and grateful for this award which not only puts Henrik’s persistence in the pursuit of quality and faithful, vibrant translations in the spotlight, but also highlights the whole field of film translation and our company’s focus on creating subtitles that are high-quality and in the true spirit of the films we translate. In their motivation the Guild of Film Critics praise Henrik for his outstanding quality of work that hits the spot linguistically every time, and for always infusing his subtitles with personality without being disloyal to the original material, and we couldn’t agree more! You can watch Henrik’s acceptance speech in Danish. STS was established in 1995 and started its portfolio in animation movies. Having established a solid brand name the company ventured into all types of audiovisual translation including theatrical, DVD, TV, dubbing, commercials and video games. At STS we believe in collaboration, which is why our network is so important to us. Accordingly, we focus on identifying the best partners. 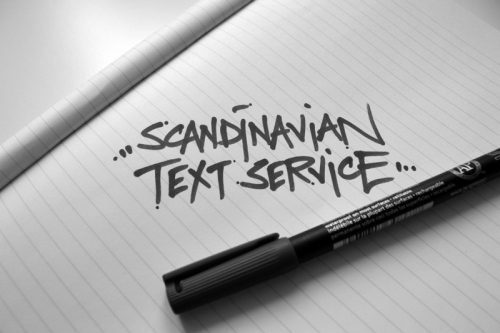 Our network includes excellent locally based translators, and we specialize in supplying quality subtitles on the Scandinavian market. At STS, our mission is to be our customers’ indispensable subtitling partner. We believe in being the best at what we do, leaving our customers more time to focus on their core activities. To consistently provide the best quality of audiovisual translations. To consistently provide the best work environment for our employees. To consistently provide the best products and service to our customers. To consistently ensure the preservation of quality to local languages everywhere.